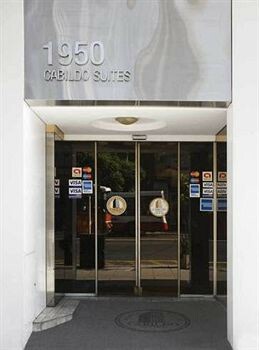 Property Location With a stay at Apart Hotel Cabildo Suites, you&apos;ll be centrally located in Buenos Aires, convenient to Barrancas de Belgrano and Estadio Monumental. This aparthotel is within close proximity of University of Belgrano and El Solar de la Abadia Mall.Rooms Make yourself at home in one of the 48 air-conditioned rooms featuring kitchenettes. Your room comes with a pillowtop bed. Complimentary wired and wireless Internet access keeps you connected, and cable programming provides entertainment. Private bathrooms with shower/tub combinations feature deep soaking bathtubs and rainfall showerheads.Rec, Spa, Premium Amenities Enjoy recreational amenities such as a nightclub and a sauna. Additional amenities include complimentary wireless Internet access, gift shops/newsstands, and tour/ticket assistance.Dining Enjoy a bite to eat at a coffee shop/café, or stay in and take advantage of the aparthotel&apos;s 24-hour room service. Quench your thirst with your favorite drink at a bar/lounge.Business, Other Amenities Featured amenities include limo/town car service, dry cleaning/laundry services, and a 24-hour front desk.